The HALia will be there also apparently. Is there any clue regarding the cost of these beauties? 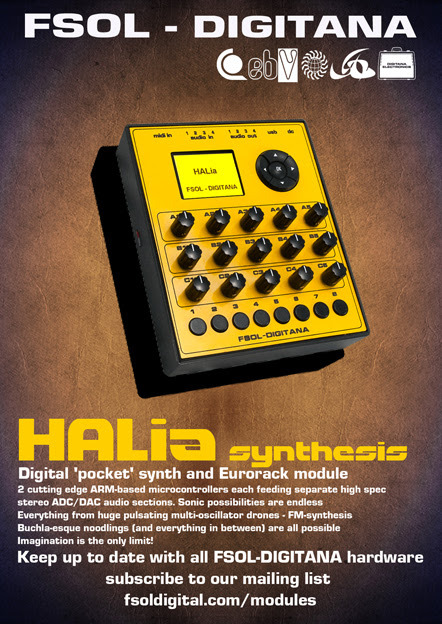 HALia has been designed to be as affordable as possible - I wouldn't be surprised to find it not too far from the Volca range price. The SX-1 won't be cheap. Would that be an initial volca range price: 135 eur or the new volca price: 175 eur? A little offtopic here but there has been a ridiculous price increase for all Korg products! Bought my MS20 for 500 eur and now it costs 680! Has anybody any idea what on earth has happened? I don't know specifics, but the aim is for it to be a small, affordable box rather than a big professional synth. Ive set my mind on both of them. Im definitely getting HALia once its out and & SX-1 when I can afford it. And it's into production we go! In a Facebook comment, Brian has revealed that they will begin taking deposits for the SX-1s in May.